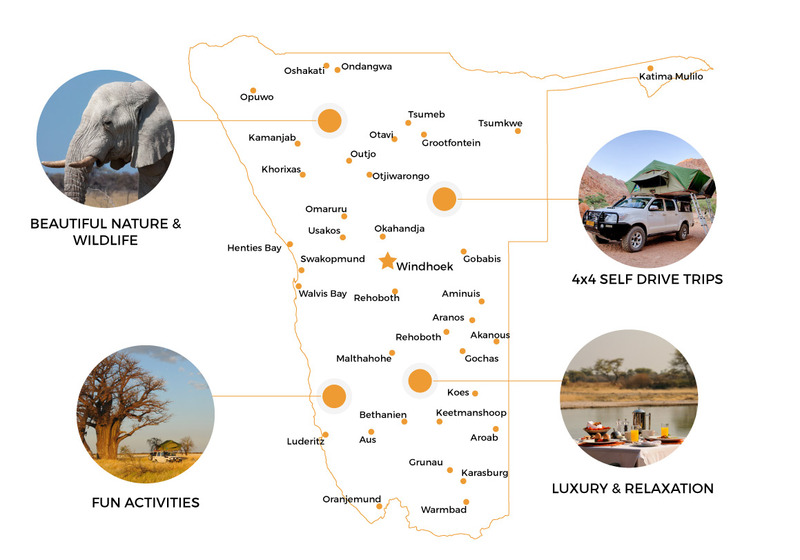 Explore Namibia offers organised self-drive holidays. 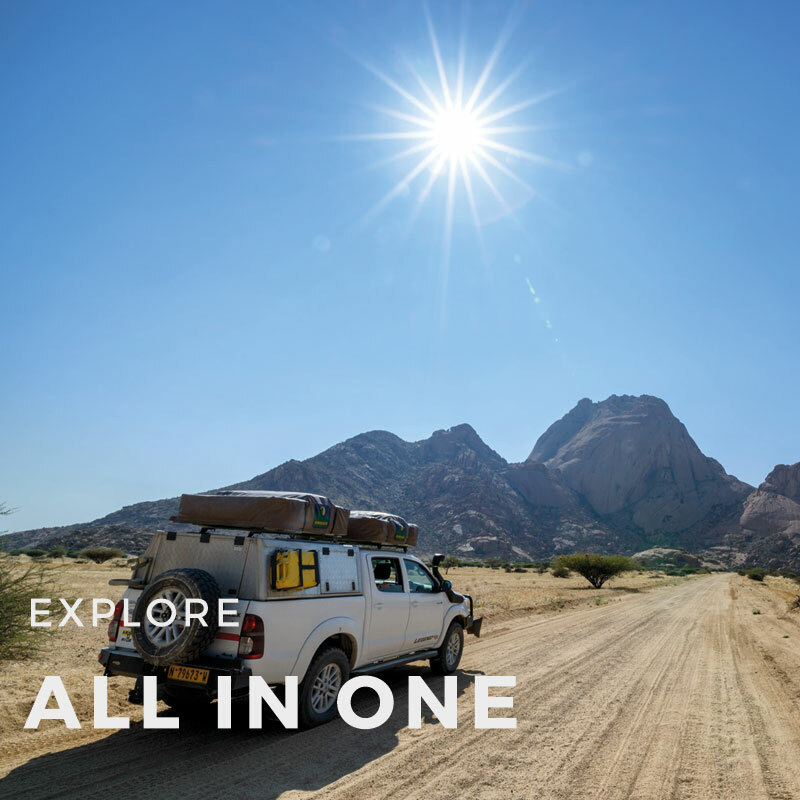 You can go on an adventure in a fully equipped vehicle of your own choice. 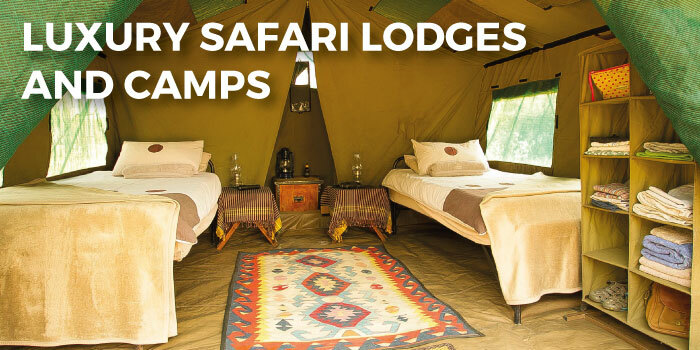 We will arrange your accommodations in advance, whether you wish to stay in lodges and guesthouses, on campsites or both. 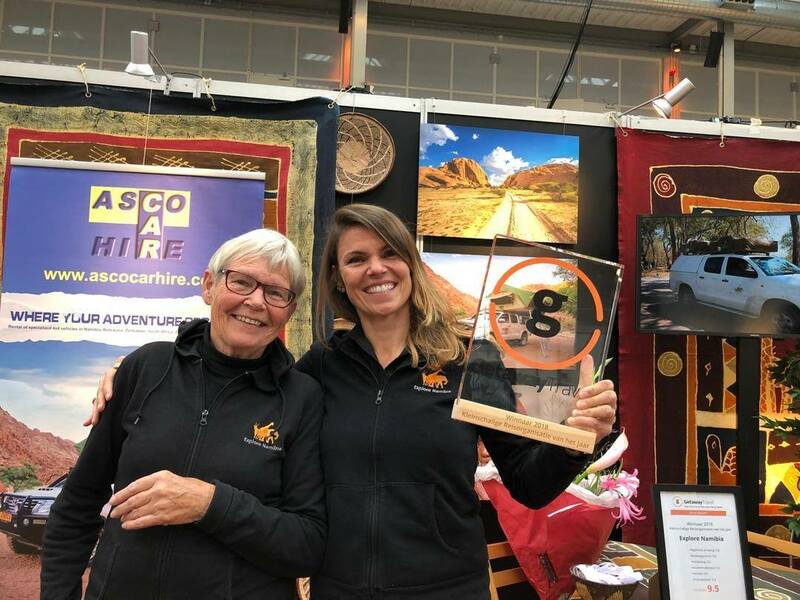 During the ‘Verre Reizen’ Event in October 2018 in The Hague, Explore Namibia was prized as the winner of the Getaway Travel Award 2018. 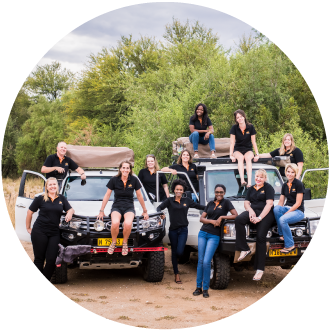 Explore Namibia can proudly call itself the “best small-scale travel organization” of the year 2018. 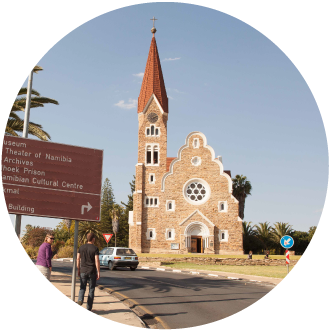 Explore Namibia is a dynamic and professional company located in Namibia, founded in 2006 by the Dutch couple, Marco and Elise. 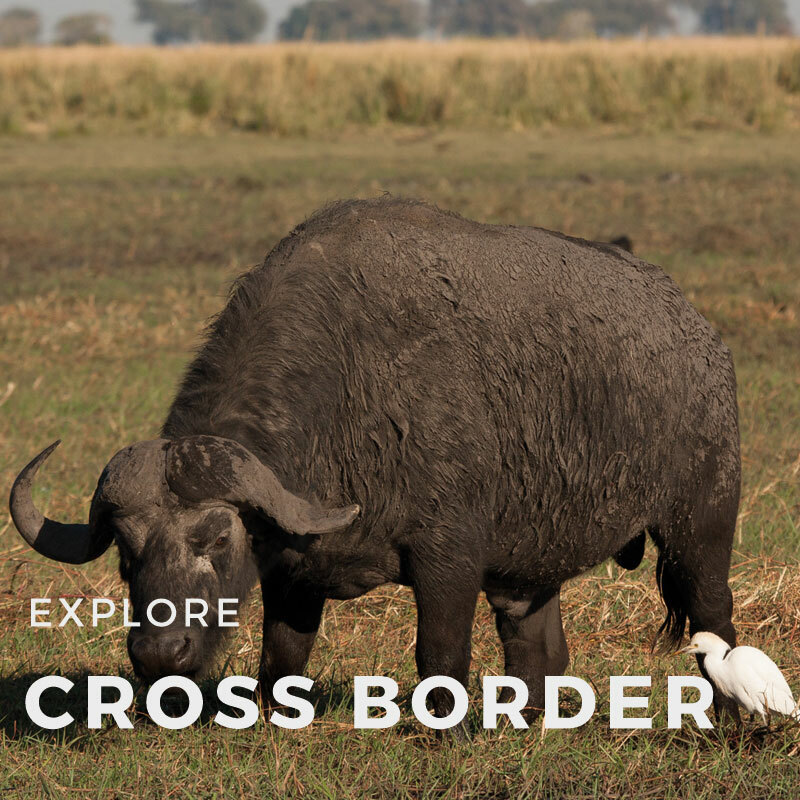 Both have travelled through Africa extensively and they simply love it.  When the opportunity occurred to go on an adventure to Africa, they did not hesitate, quit their jobs in Europe and moved 10.000 km South. 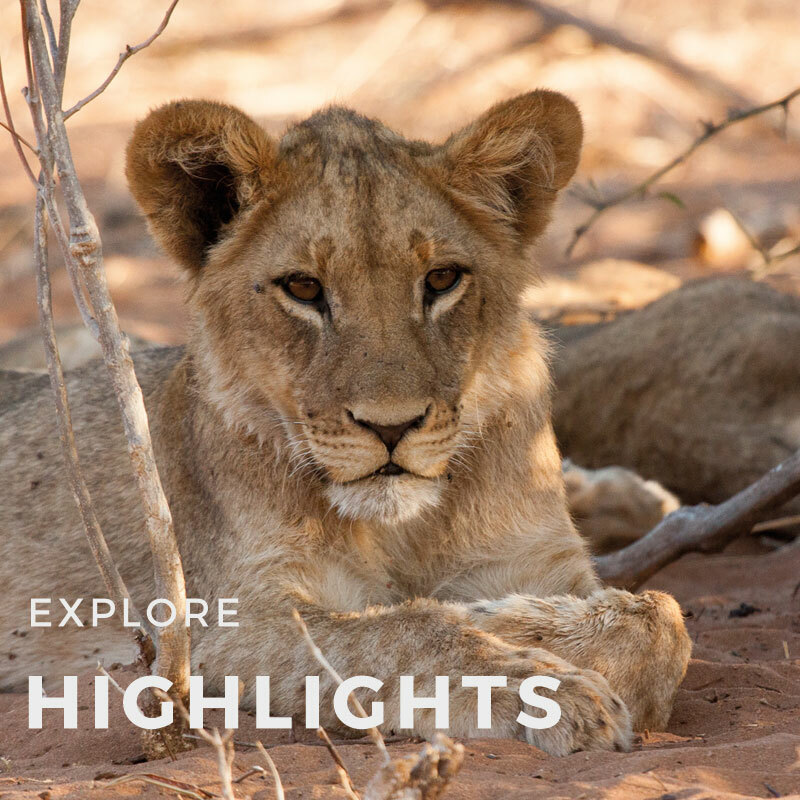 And still today, after all these years they still love what they do – Explore Namibia and help others do the same! 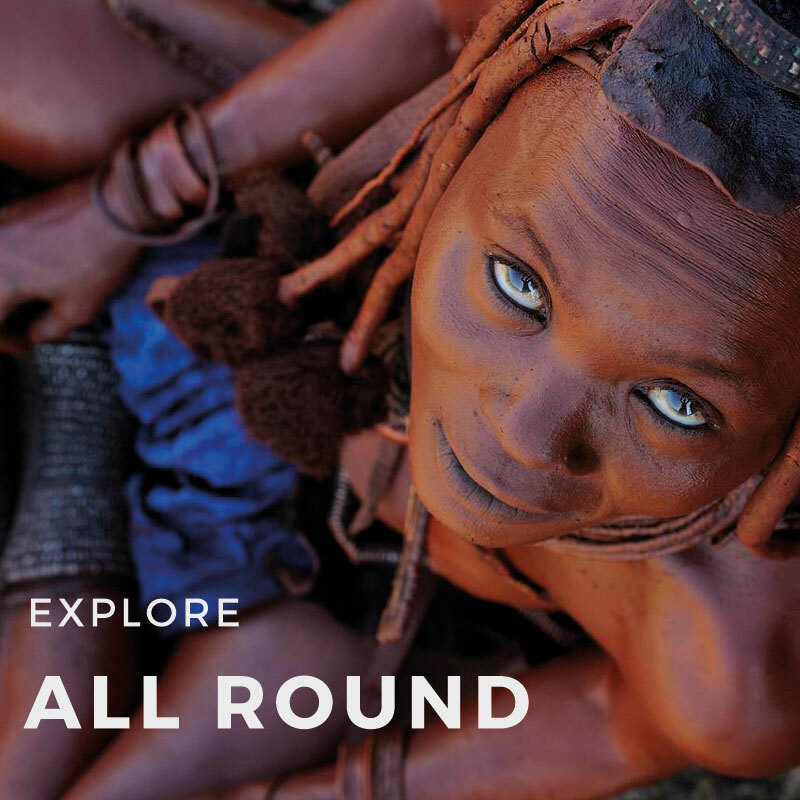 Every traveler has their own preferences. Some like to book as little as possible in advance and rather have a rough plan only, to be flexible along the way. Others like to have most of their holiday pre-organized, not having to worry about the next place to stay. 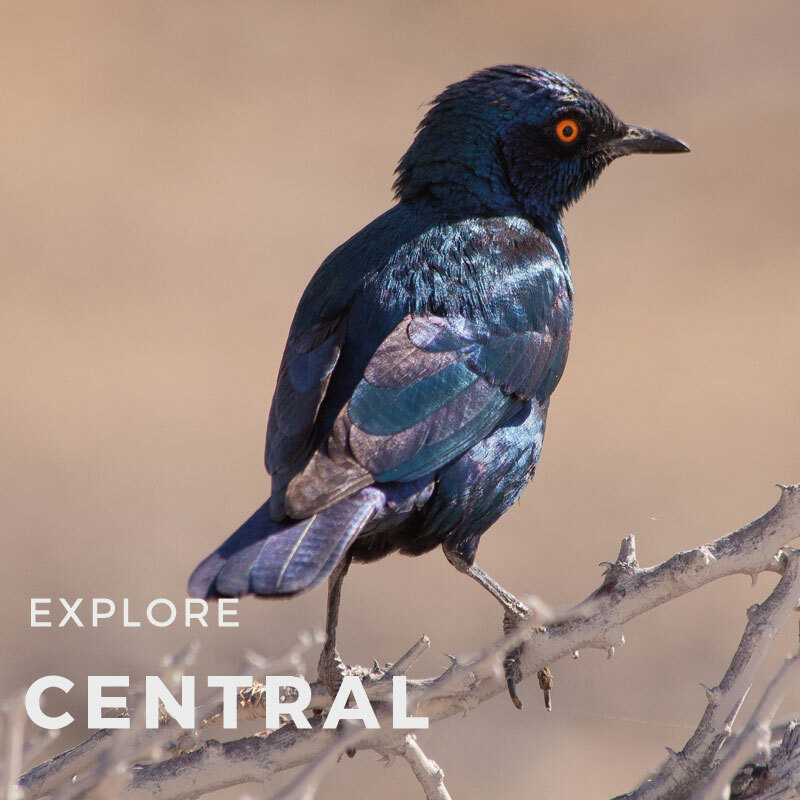 Explore Namibia can assist you in many different ways. Do you like to have a lot of freedom during your trip? Then we can help you with a vehicle. 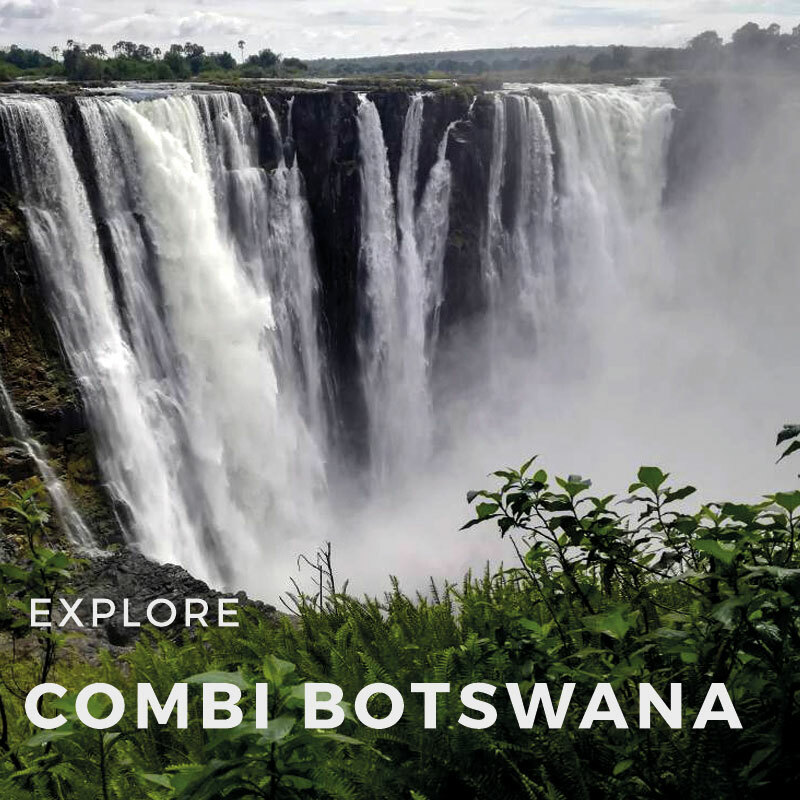 If you prefer more comfort, we can offer you the full package including flights and activities. We are close by while you are traveling and always reachable. 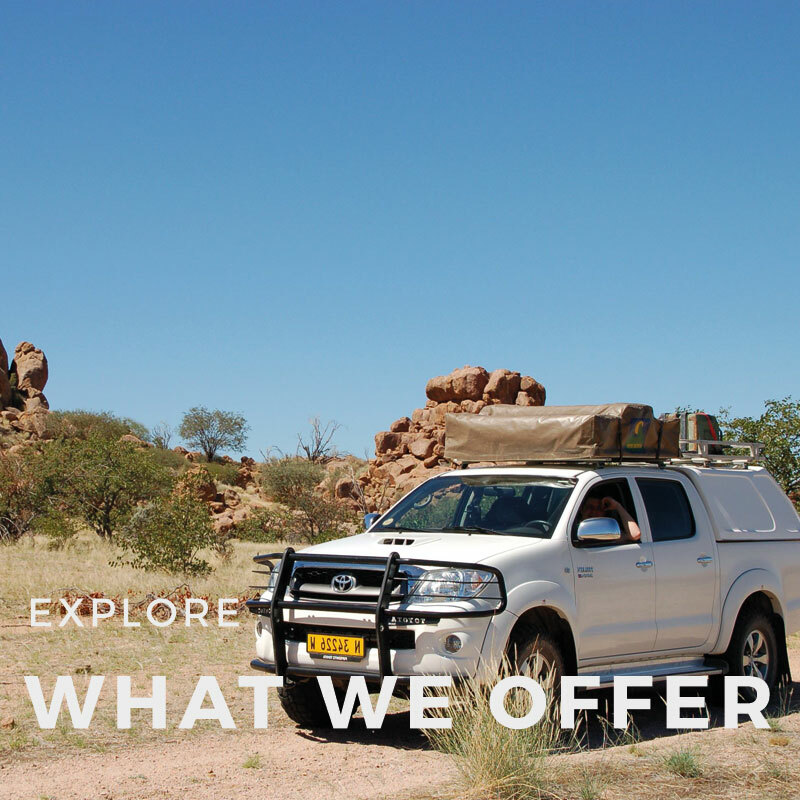 Should you feel uncertain along the way or hit a “bump along the road” you can easily contact us and we will gladly assist you to make your trip and stay in Namibia as enjoyable as possible with little or no interruptions. 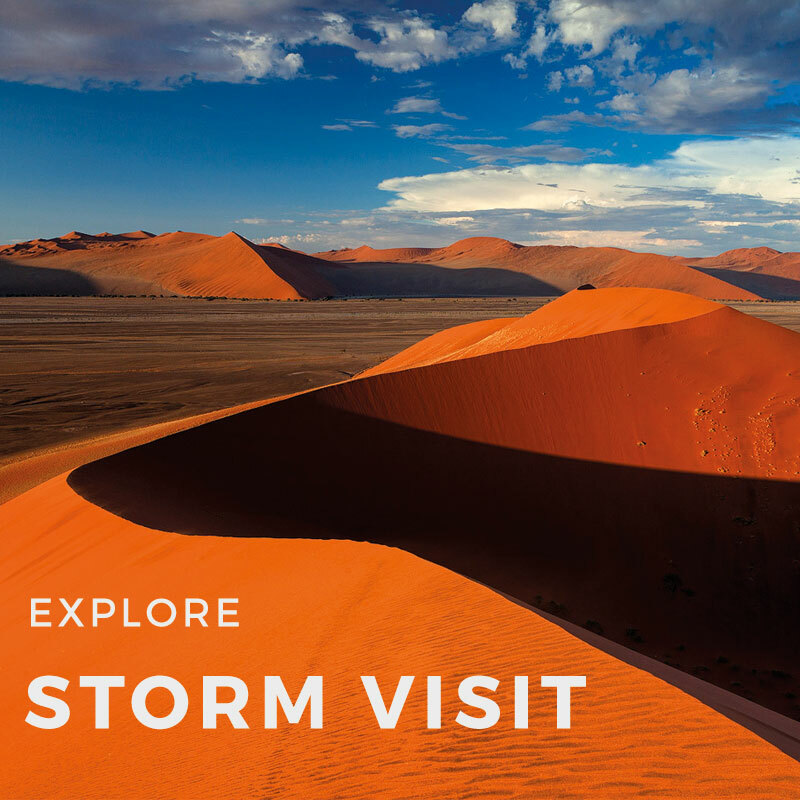 We offer organized self-drive holidays in Namibia including accommodations. 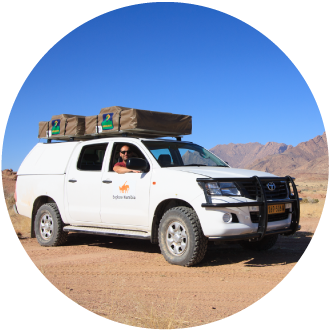 You will be the driver of a fully equipped rental vehicle of your own choice; and are not just part of an organized group. 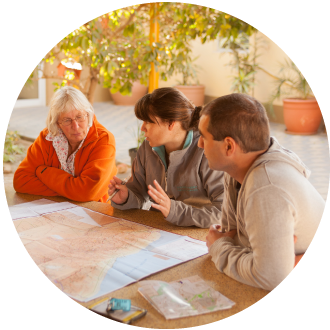 Choose one of the beautiful routes and stay in selected accommodations or campsites, which are all reserved for you in advance.